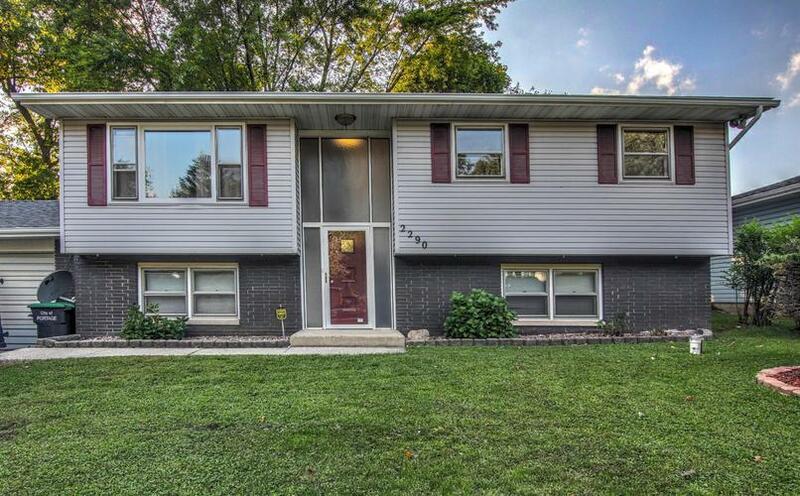 Spacious remodeled 4 bdrm 2 bath bi-level on cil-de-sac street with 2.5 car garage! Upper level offers large living room with new laminate flooring open to dining/kitchen area with updated cabinets & pantry, remodeled full bath with new vanity, flooring, lighting & surround & 3 bedrooms all with new carpet, lower level features large rec-room with new carpet, full bath, spacious 4th bedroom with new laminate flooring and large laundry/storage room, freshly painted interior, new front storm door, new oak stair treds and railing, whole house fan, central air and furnace approximately 9 years old, brand new roof and gutters, deck, privacy fence and more close to 80/94, Toll Road and South Shore! Directions:Hamstrom Rd. to Portage Ave., East to Sandwood South to Home on West Side or Samuelson Rd. to Portage Ave., West to Sandwood South to Home on West Side.